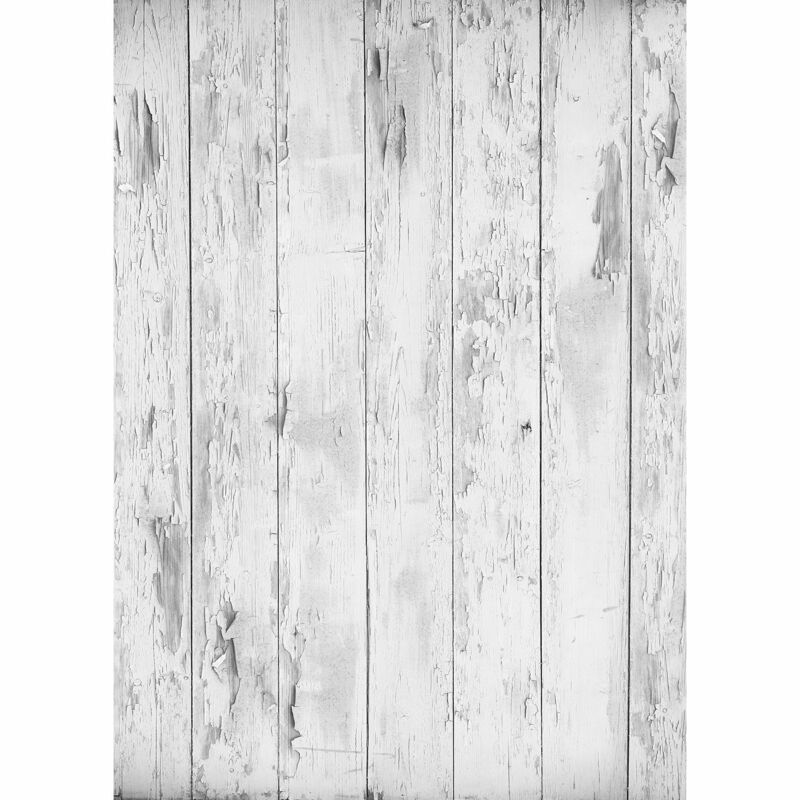 The Distressed Wood Matte Vinyl Backdrop with Grommets from Westcott is a 5 x 7' backdrop with a printed, light gray distressed wood pattern. This size backdrop is suitable for full body shots, couples, and groups. It is easy to wipe clean if it gets wet or is spilled upon, which makes it useful for when you are working with food or liquids. Box Dimensions (LxWxH) 62.3 x 3.4 x 3.4"
Distressed Wood Matte Vinyl Backdrop with Grommets (5 x 7', Light Gray) is rated 1.0 out of 5 by 1. Rated 1 out of 5 by Anonymous from Color inaccurate photographs poorly I reviewed the product in a very timely manner. I never have issues w bh in that regard. However I did not open the the package until I was at my shoot yesterday and I wAs so disappointed . The color is robin egg blue and mucky. It took tons of post editing to get it to look like the image in the advertisement. Could this vinyl backdrop be used as a floor with an X Drop? You can use the backdrop as a floor with the X-drop. There are also baseboards which can be used to create a good transition from the background to the floor.